“This Sunday saw the first event for people from both sides of Øresund - the small stretch of sea that divides Denmark and Southern Sweden. 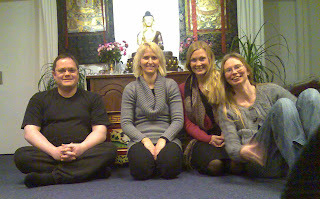 The day was held in Copenhagen where the (very small) Danish Sangha had invited people from Skåne to come and join them for a day of practice. “Even if the numbers ended up low, the quality was high and we had a great day led by Advayasiddhi, meditating together and talking about the three jewels and about how we are part of a long lineage and a much bigger community. "We ended the day with a small ritual offering our aspirations to the Buddha and sharing our merits with all beings. “We hope to do another day soon, so let us know if you want to join”. 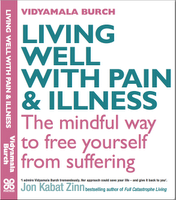 ‘Living well with pain and illness’ was first published last year by Vidyamala, founder of Breathworks - one of the FWBO’s most successful Right Livelihood businesses. 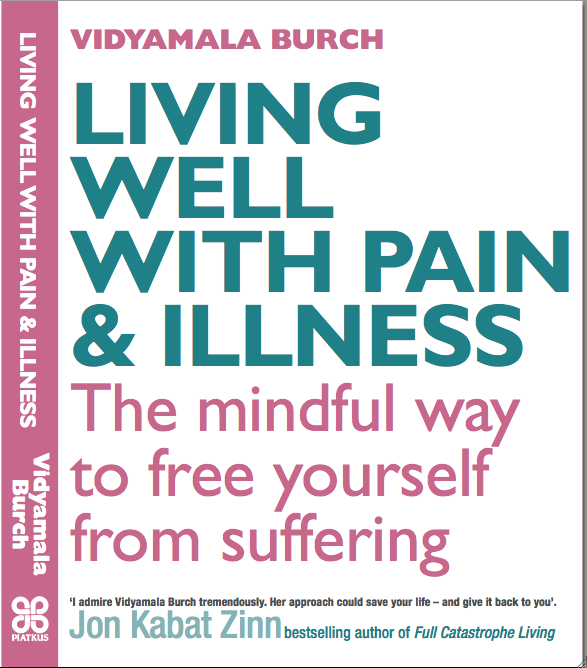 We’ve recently heard her book is now being translated and published in 6 countries and/or languages: German, the USA, Holland, Russia, Denmark, and Maharastra (where it will be translated into Marathi). Others are in the pipeline. Meanwhile the Dutch version of the Breathworks website has just gone live at www.breathworks.nl- joining the Spanish version, Respiravida, launched last year. Breathworks courses are now run to help people deal with any sort of stress or difficulty as well as physical pain. 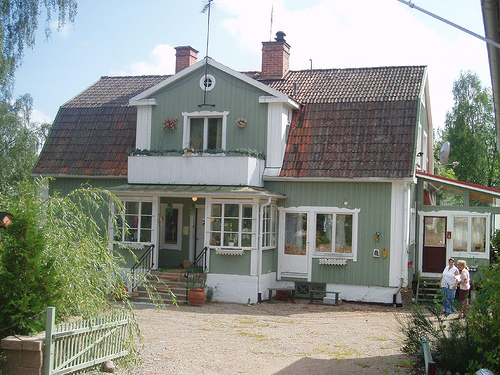 At present Sona and Vidyamala are in Sweden at the moment running their first Training Retreat, which is being held at Dharmagiri, the FWBO’s Swedish retreat centre. During a public ordination ceremony held on January 31st at the Stockholm Buddhist Centre, Sweden, Sanna Frost became Nagajyotis (Sanskrit, long first ‘a’). Her name means‘light, splendour, radiance of the nagas (literally serpent-demons)’. Ratnadharini was private and public preceptor. Nagajyotis ordination was especially significant as it was (we believe) the first ordination to be held in Sweden. On January 17th at 1.50pm, ex-Order member Gunavati died peacefully at Homerton Hospital in London. Padmaketu and Barbara, a fellow nun of her present order, were with her. Gunavati was 80 years old and had been in hospital for 4 1/2 weeks. She must have been one of the most visited patients there ever. Friends from her FWBO days came, as well as from the Jamyang centre in South London, where she had practised in recent years, including her teacher Geshe La. The name she received in that ordination was Lobsang Choedron. The person who took most care of her over these weeks was her old friend Ingrid Kerma who looked after her tirelessly, if needed spending nights there as well. The nurses commented how much Gunavati/Choedron had given to people in the ward and the nurses over the time she was there. And while getting progressively weaker there were many times where she radiated love for us visitors and her fellow patients and the staff. She was extraordinary until the end, including having her humour and cheekiness - and never complaining despite the pain she was in at times. Gunavati was ordained in 1976 and resigned from the Order in 2001. FWBO News would like to thank Jayacitta for this report. The Swedish Retreat Centre has been inaugurated and given a name by Sangharakshita. 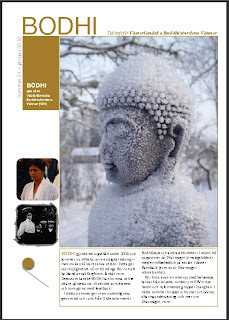 Here is a report from Viryabodhi, chairman of the FWBO's centre in Stockholm. "n Saturday the 12th of May we took farewell of Bhante Sangharakshita, who had been visiting Stockholm and our Retreat Centre for a week. It was a very successful visit, the second that our teacher Sangharakshita has made in recent years. 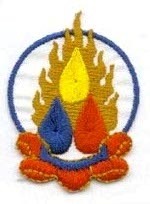 The other visit was in June 1999 and much has happened in the sangha since then. "First Bhante took part in the second half of our Wesak celebrations, held at the Ethnographic Museum in a beautiful setting in Stockholm, and Bhante delivered a thoughtful and long talk on the significance of Wesak and the Buddha's Enlightenment. We had an audience of almost 100 people. In the first half I gave a presentation of the FWBO, with some photos (mainly of the Refuge Tree and Bhante at different times). We also had a short meditation. Taraka introduced Bhante and also concluded by leading a the puja, flanked by two massive Tara rupas from the museum’s collections. It was such a privilege to have Bhante here in real life - a big event for us. "Bhante saw people for personal interviews with Order members and some mitras who have requested ordination, as well as having dinner and informal talks afterwards on three consecutive nights with the women and men who have requested ordination, as well as the members of the local Order. All these meetings were successful and joyful. Everyone seemed pleased to have met Sangharakshita, many for the first time. 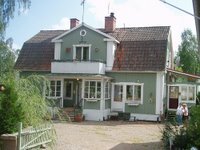 "After 5 days in the men's community in Stockholm we set off to the Retreat Centre (2 hours drive northwest of Stockholm), for the 'inauguration' and the giving of a name that Bhante so kindly had agreed to do. This was the culmination of the visit and a delight and blessing. In a simple and profound ceremony Bhante imparted the name: Dharmagiri Retreatcenter (Swedish spelling). Which means: 'The hill where the Dharma is practiced'. 'Giri' (which is pronounced with short "i's") means 'hill' or 'mountain', in this case 'hill'. The place lies on a little hill overlooking fields and a river in the distance, so it feels most appropriate. We could also say 'Dharma Hill' or in Swedish 'Dharmakullen', we'll see. When I got back to Stockholm I looked up 'Dharmagiri' on google and found out that there are several others, a hermitage in South Africa, and also Dhammagiri in India (Goenka's main centre). But I'm sure we can co-exist. "Before the ceremony we walked around the garden in silence, taking in the surroundings and houses. We concluded with the Dedication ceremony (often used in the FWBO) and a meditation with Bhante, which at least for me was profound. "There were about 40 people attending the event, some who came up for the day, plus about 25 who stayed overnight. We had a festive meal in the evening and I had a chance to express my appreciation and gratitude to Bhante in public. It seems that he made a strong impression on many people here. Now it is up to us to live up to the vision of the Dharma and the FWBO. I believe we now have a good place and conditions - especially at Dharmagiri - to do that more fully and satisfactorily. You’ll find photos of Dharmagiri here or at my photo site.